The frightening combination of the Taliban spokesman’s threat, [Tribal Elder] Abdullah’s death, and the spate of letters has sparked a panic among many Afghans who have worked closely with coalition forces in the past…. [There are] reports of Afghans rushing to U.S. and coalition bases in southern and eastern Afghanistan over the past few days, seeking protection and even asking for political asylum. 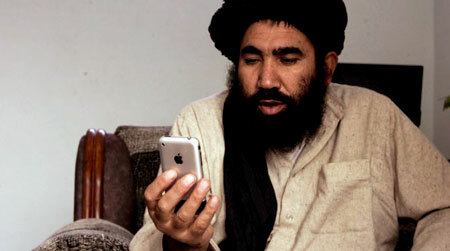 A Taliban fighter checks out Wikileaks. What then can be done about Afghanis who have been “outed” by Wikileaks? One possibility is the Afghan Allies Protection Act, which authorizes 1,500 visa each year for Afghanis “who have been employed by or on behalf of the United States Government in Afghanistan on or after October 7, 2001, for a period of not less than one year, and who have experienced or are experiencing an ongoing serious threat as a consequence of that employment.” Whether the people named in the Wikileak documents were employed by or on behalf of the U.S. government for at least one year is an open question. If not, this law will not help them. If it turns out that the Taliban’s threats are serious, Congress should consider amending the law to permit endangered Afghanis to come to the U.S., at least temporarily, even if they do not satisfy all the requirements of the Afghan Allies Protection Act. It’s good policy to show our allies that we protect them, especially when they were endangered by our own security failing. More than that, protecting such people is the right thing to do.